you will sometimes see some defects or seams in your dome master. They are mainly caused by post-processing effects like lens flare, glow, image motion blur. with disregard to what is happening off the frame. 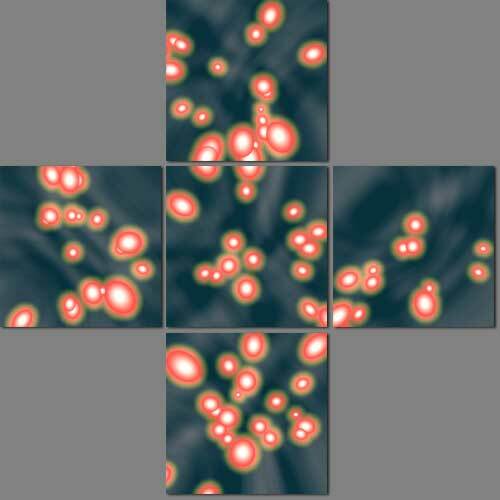 Rendering excess area and clipping images before stitching is a technique for obscuring the seams. 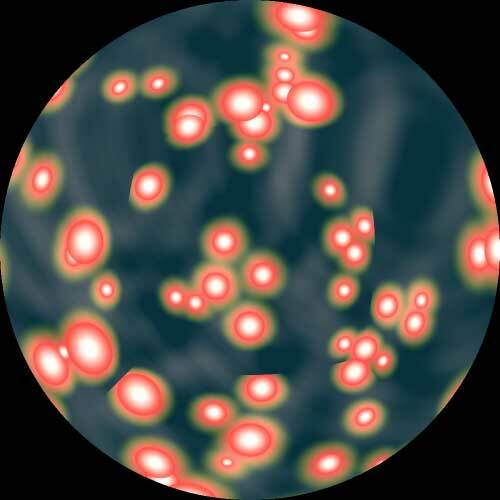 This is an example of a problem caused by glow effect in pentadivision. Put the cursor over the image to see defective spots. Glow is missing at the spots indicated by yellow arrows. Put the cursor over the image to see defective spots and borders of the stitched images. The seams become apparent in the stitched image. instead of 90-degree FOV so that rendering software can add glow from outlying objects to the images. 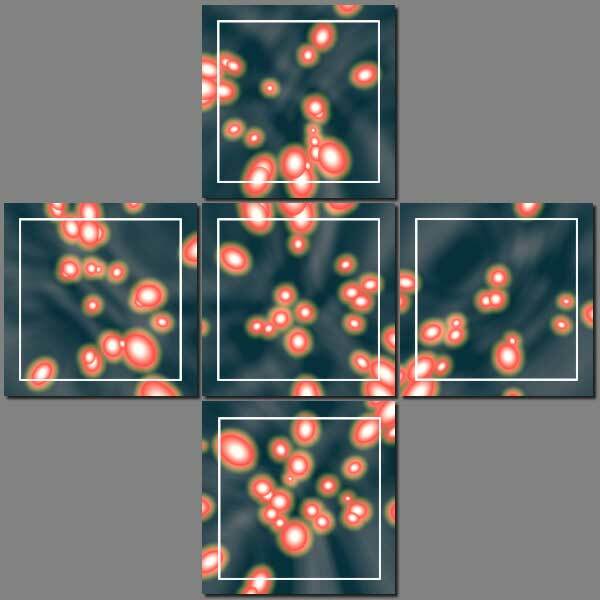 The rendered images are clipped into 90-degree FOV squares (shown in white in the above images) and then stitched. but cannot remove seams completely. In many cases, however, you can ignore slight seams in animation. If you want to remove the seams completely, apply the glow effect in post-production, or after stitching.